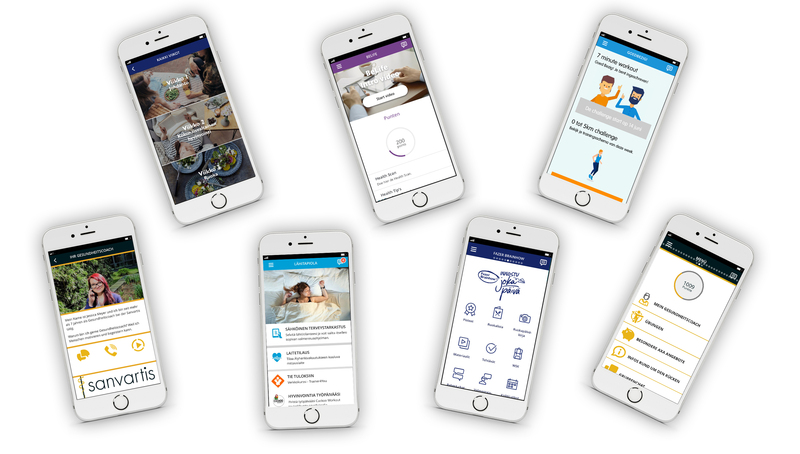 Build innovative health-promoting mobile services easily with a flexible Wellmo tool set. Build service pages freely. Create dynamic service menus for different customer segments. Integrate your service providers’ content seamlessly through web links or in-built web frames. All of the services – whether in-house or third party – are accessible with single sign-on. Market: Use marketing campaigns to maximize program enrollment. 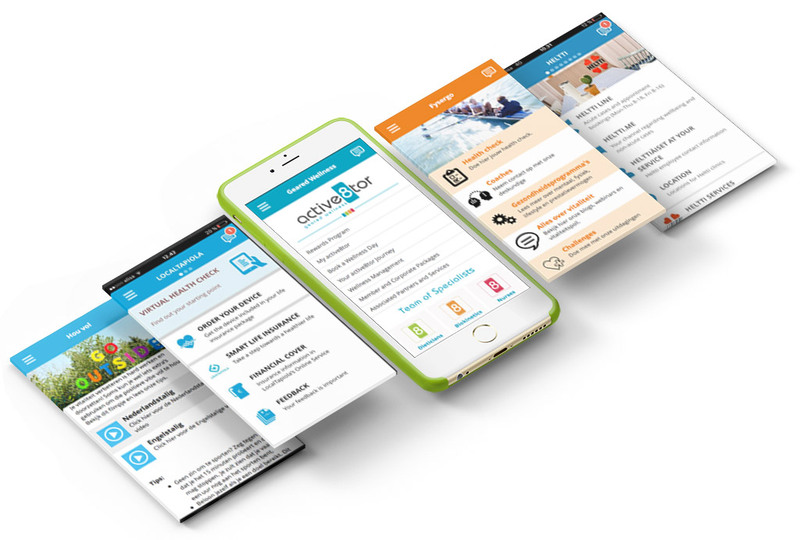 Assess: Help users to identify their health improvement needs with electronic health check. Coach and motivate: Coach your users to change their health behaviour. 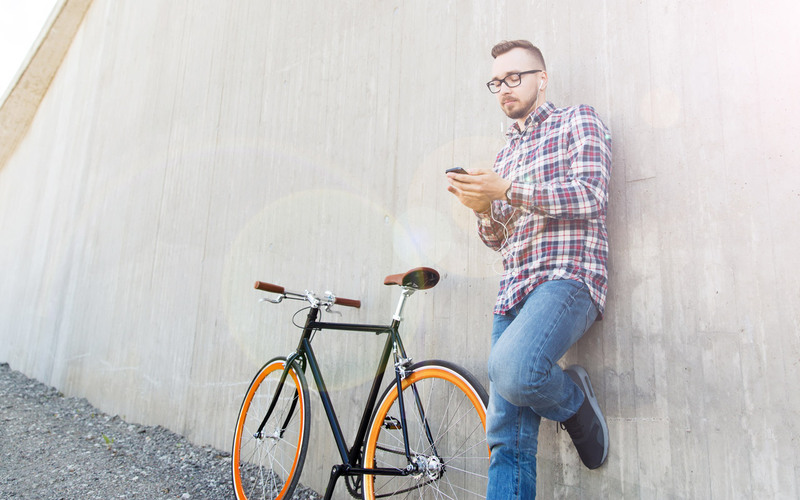 Activate: Use social campaigns to maximize programs retention. Reward for positive outcomes: Provide users rewards for meeting their health goals. We help you to integrate the necessary services for your preventive health program, utilizing best of breed partners. Integration to your legacy and new IT platforms happens securily through Wellmo cloud API’s. 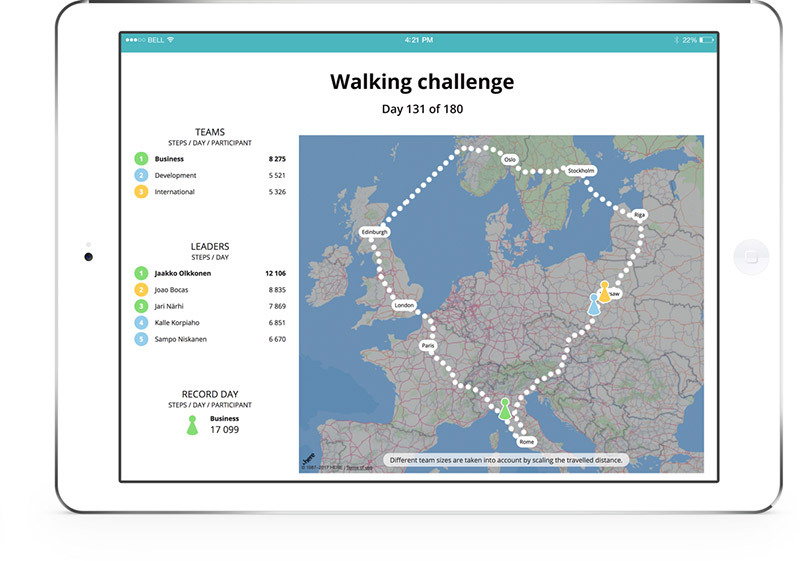 Wellmo integrates all app data into one convenient dashboard where the user can track his progress. User data is securely stored in the cloud in compliance with EU regulations. 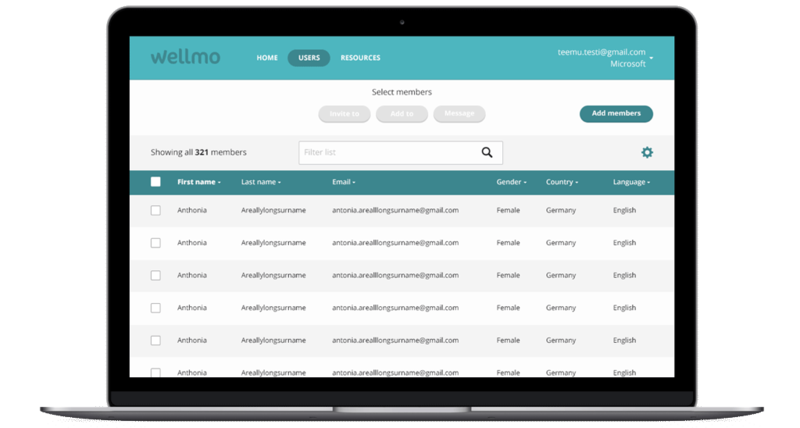 Would you like to know more about the Wellmo platform and discover the benefits for your company? We are happy to demo the Wellmo platform at your convenience.